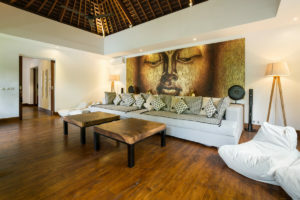 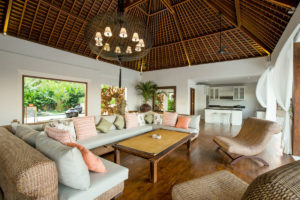 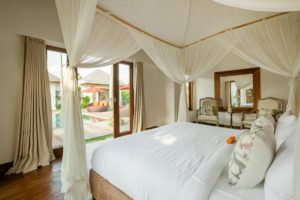 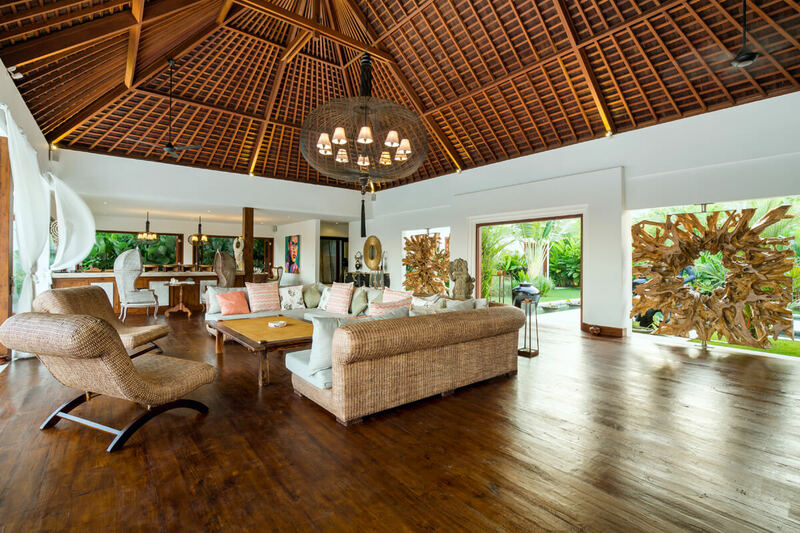 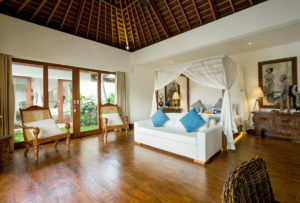 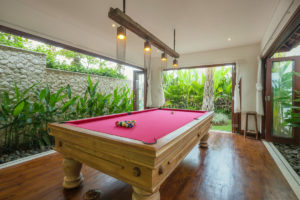 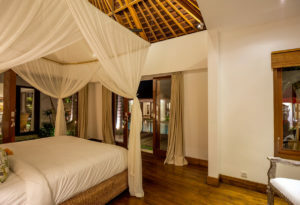 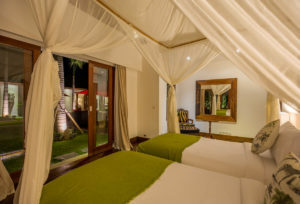 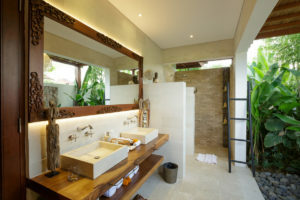 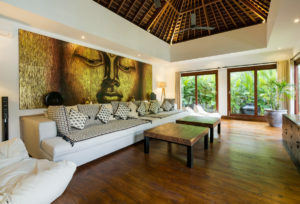 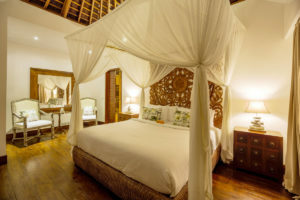 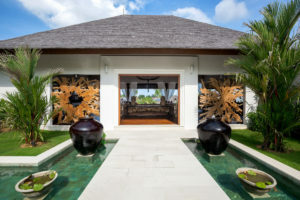 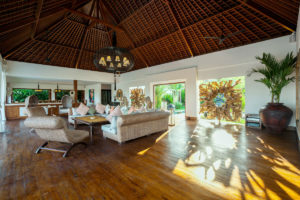 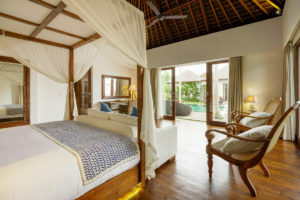 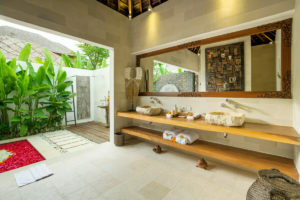 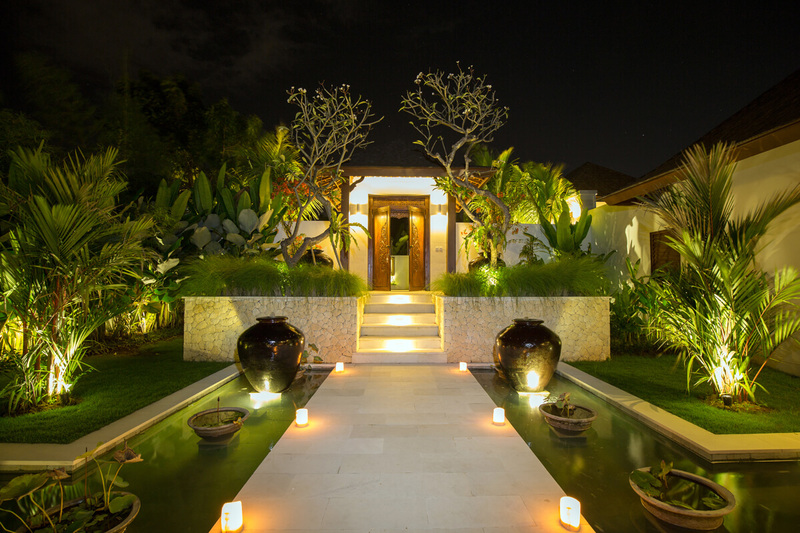 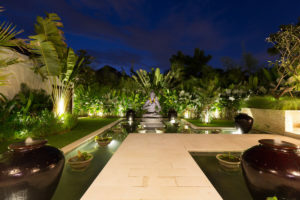 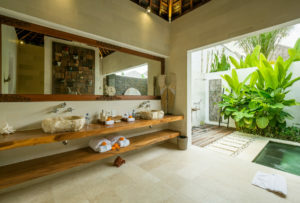 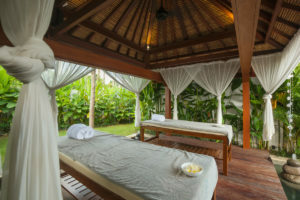 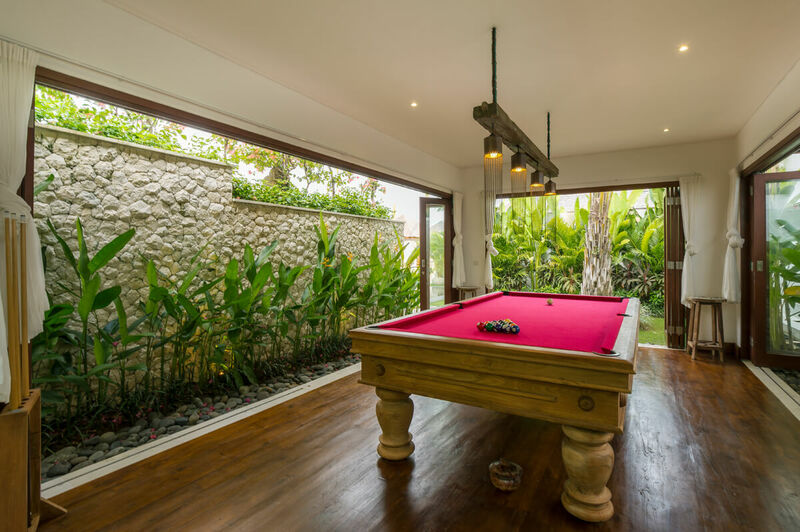 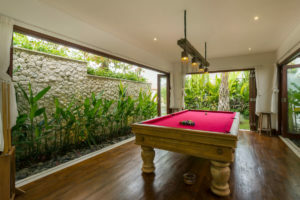 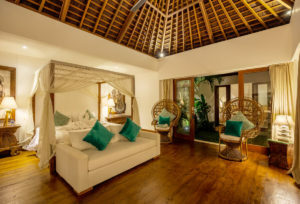 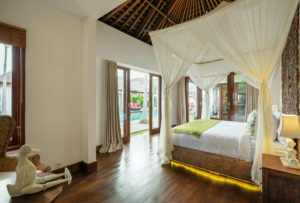 Fully staffed Villa Naty has everything you could possibly wish for on a luxurious Bali holiday: as well as its six beautiful ensuite bedrooms, 25-metre pool, air-conditioned gym and media room, bbq pavilion, billiard room, outdoor gazebo for massage and comfortable indoor and outdoor spaces to lounge, dine and socialize. 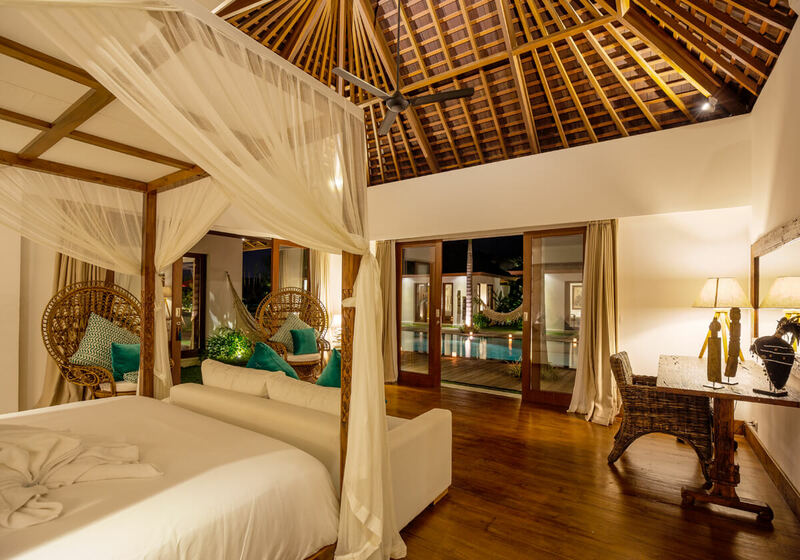 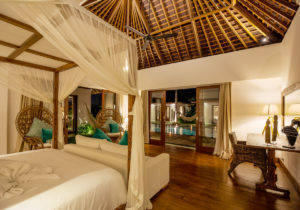 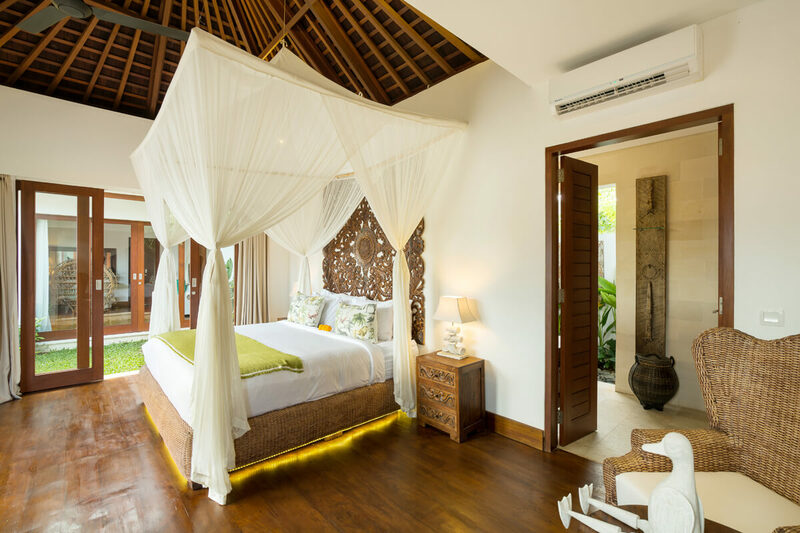 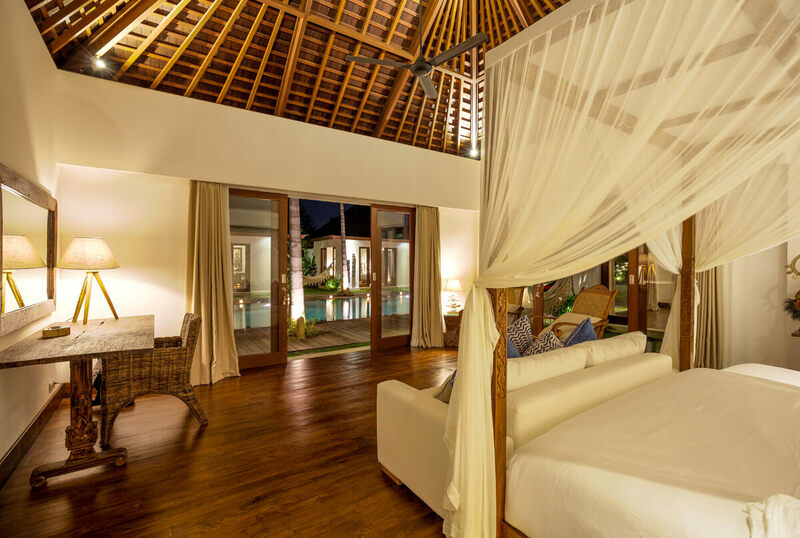 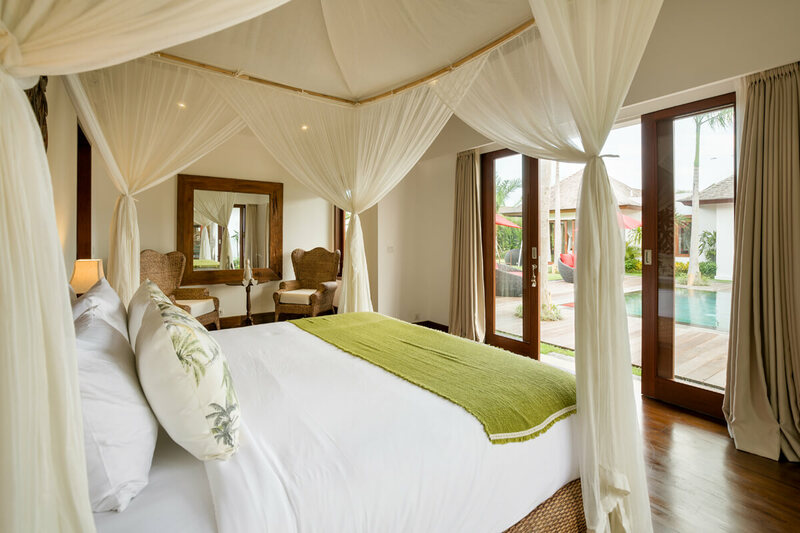 Set around the dazzling swimming pool, each bedroom takes the shape of a private bungalow, providing the perfect balance between group moments and intimate, personal space. Elegantly decorated, with all the comforts required to shelter your dreams. 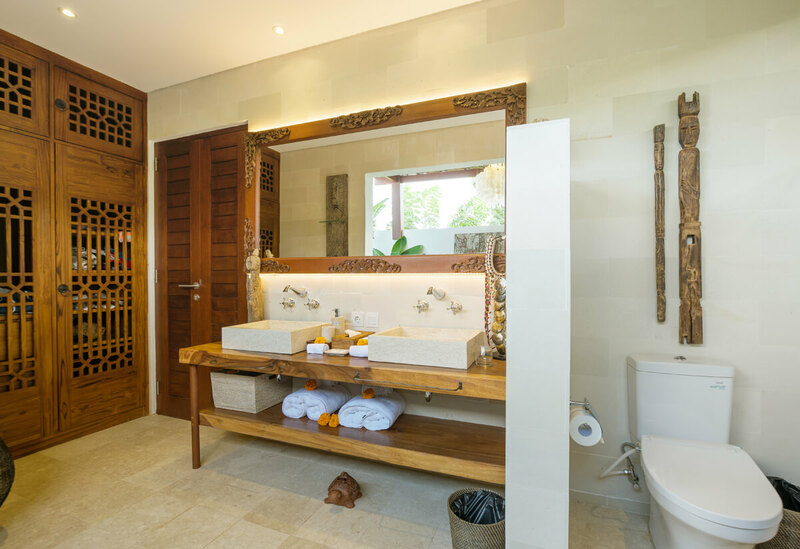 Each room offers an en-suite dressing as well as a semi-open private bathroom. 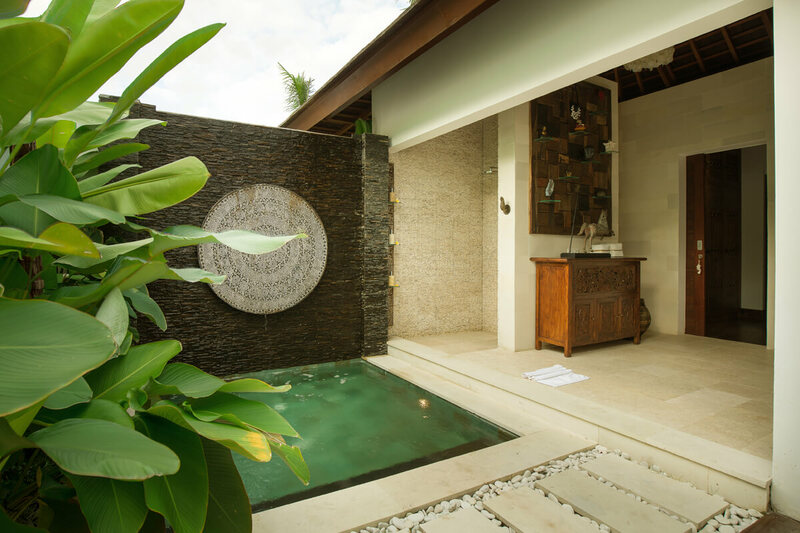 Plunge pool designed to 2 master bathrooms. 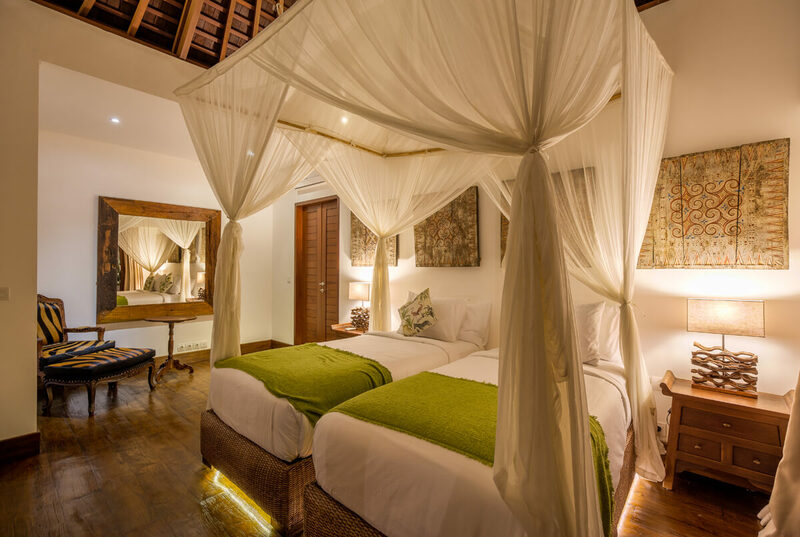 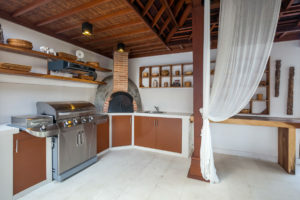 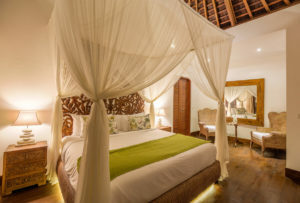 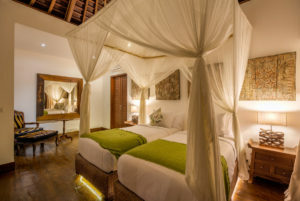 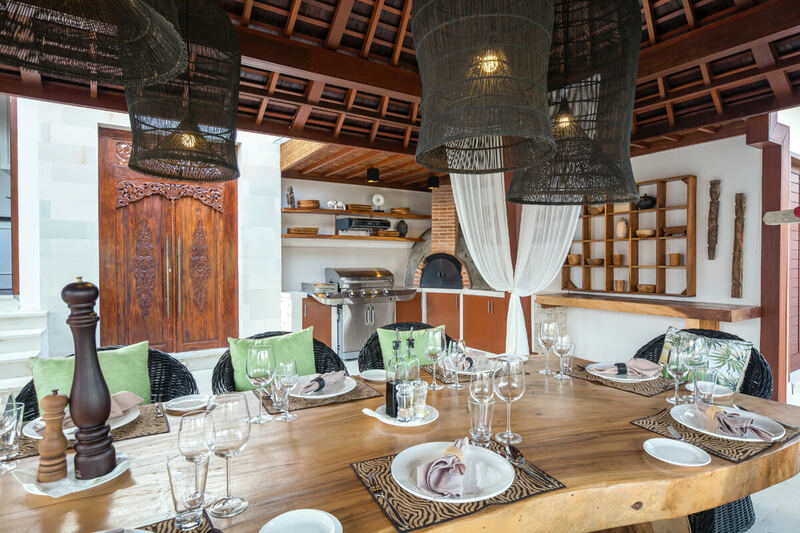 The villa can accommodate up to 12 guests. 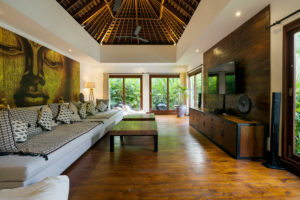 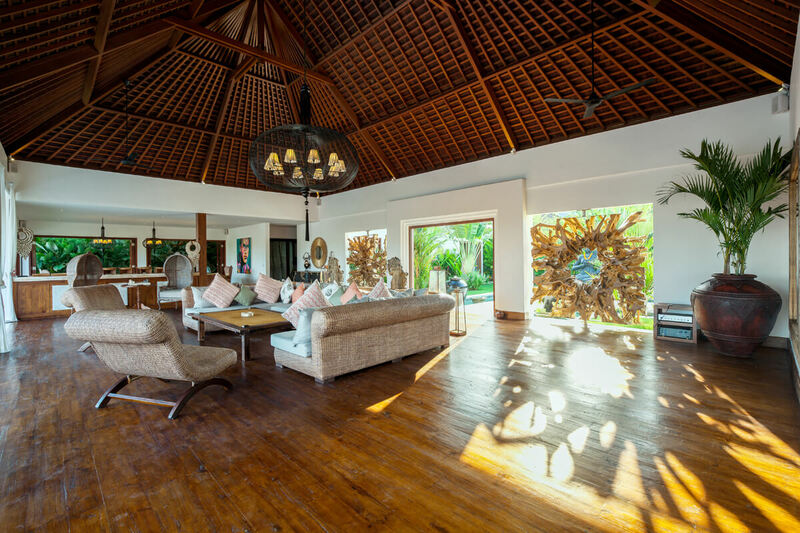 The beauty of a villa this size is that there is such an abundance of space to lounge, dine, relax, socialise, exercise or simply to take some time out for yourself. 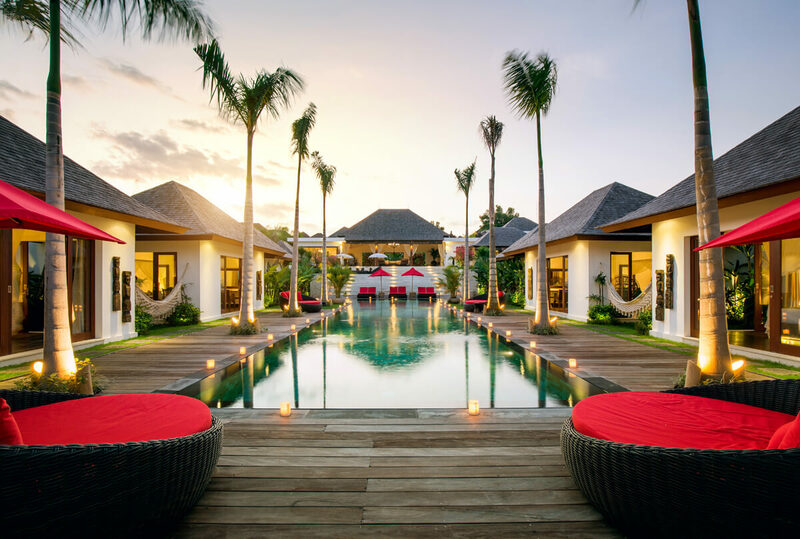 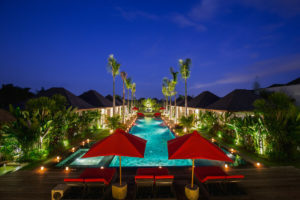 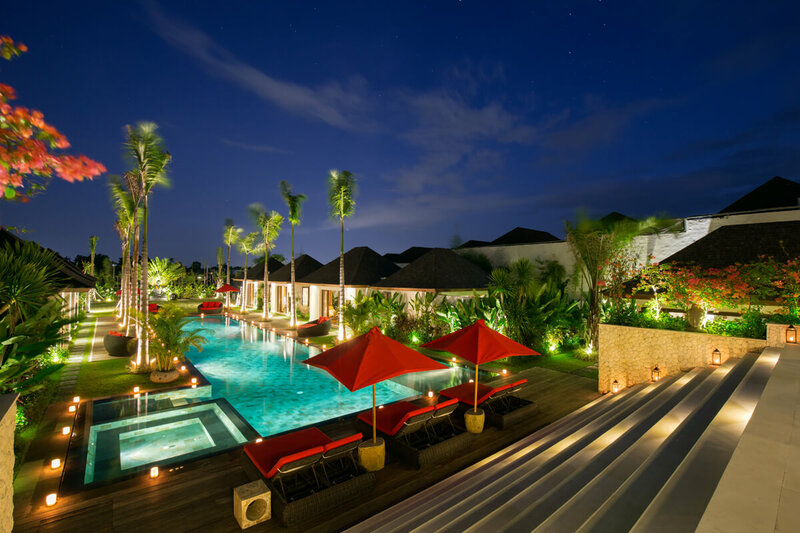 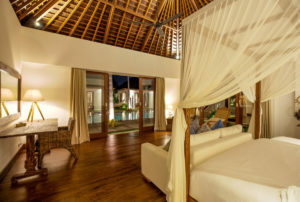 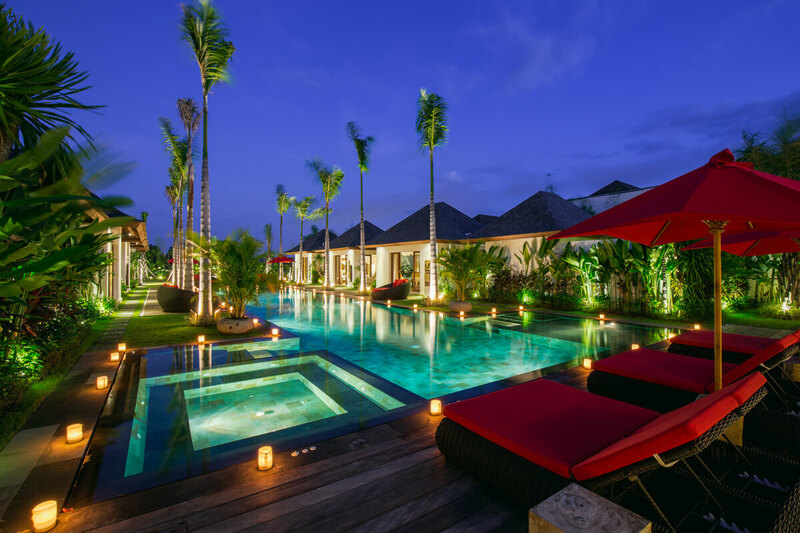 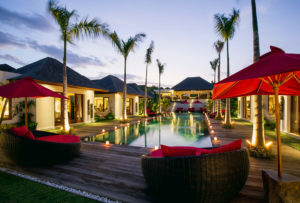 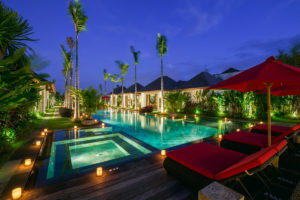 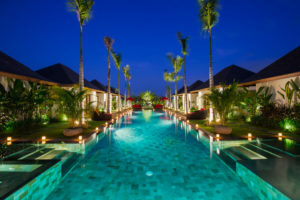 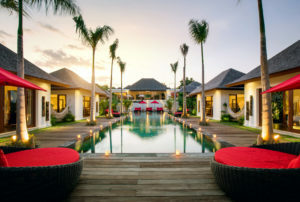 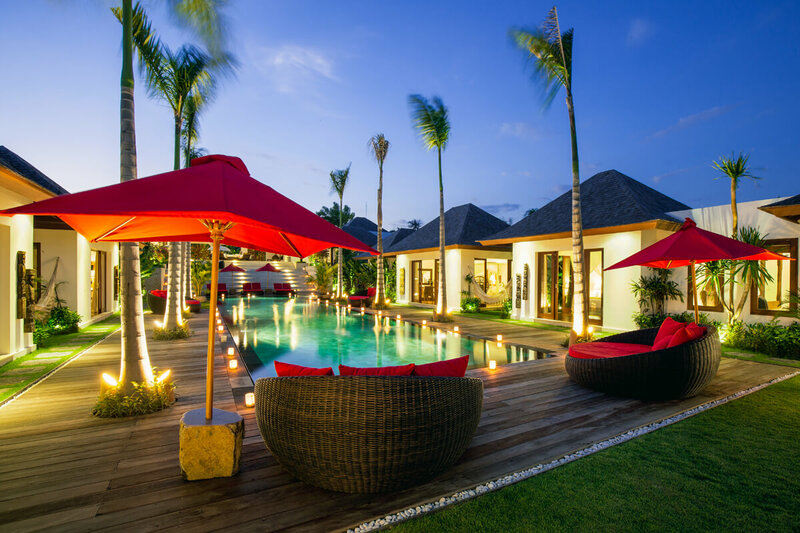 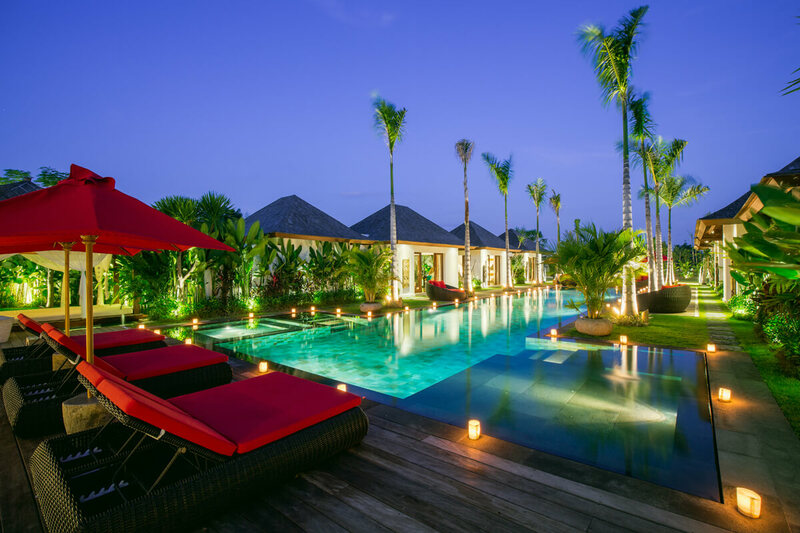 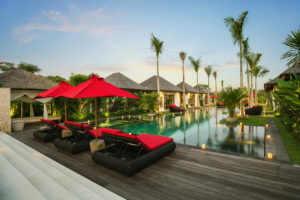 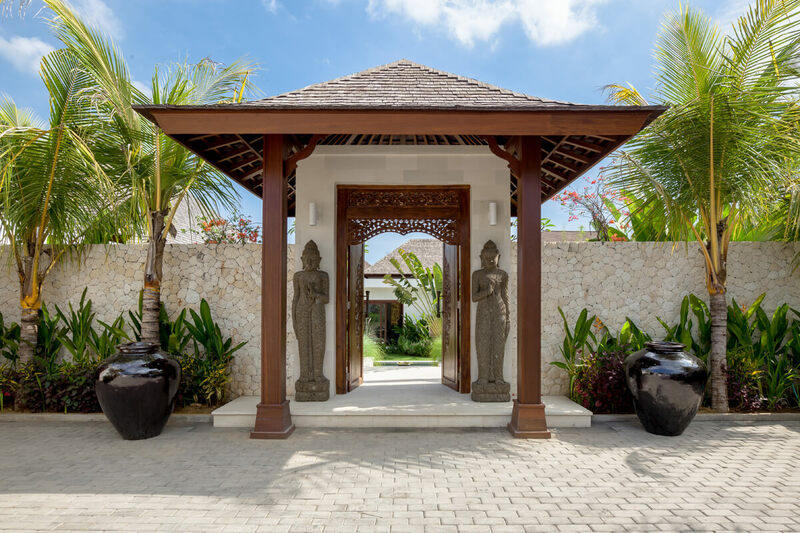 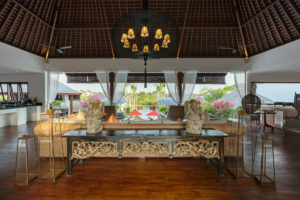 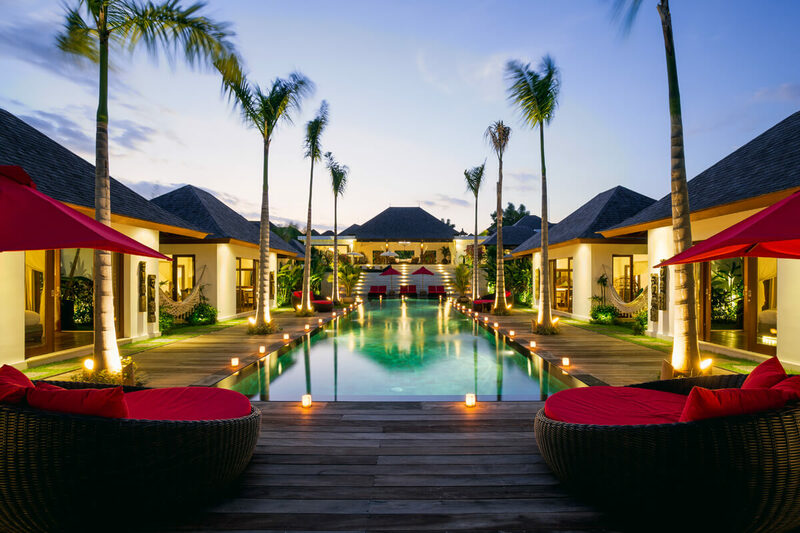 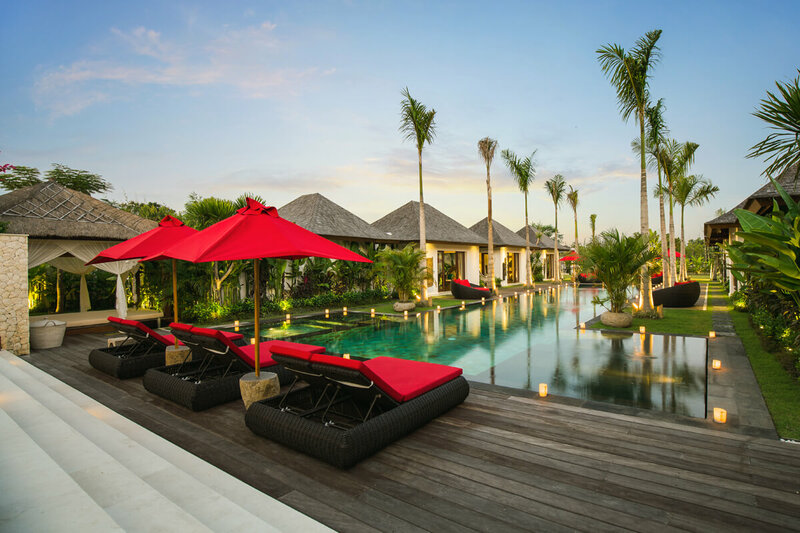 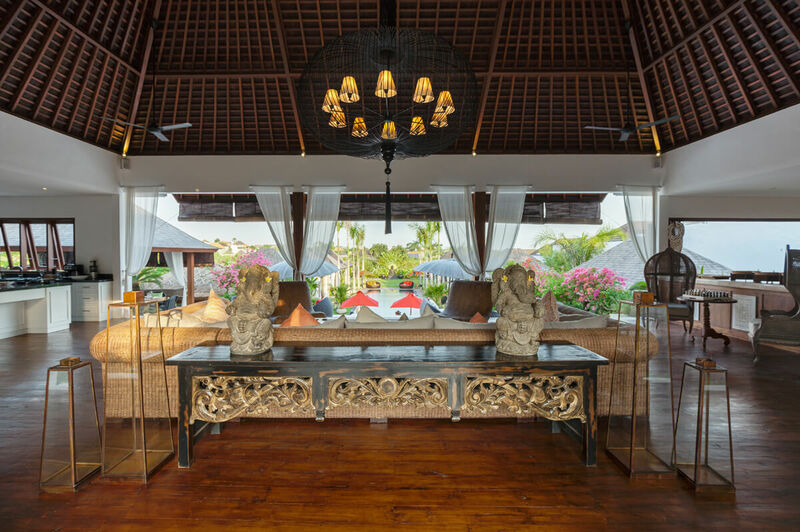 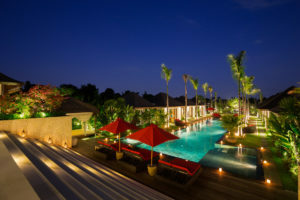 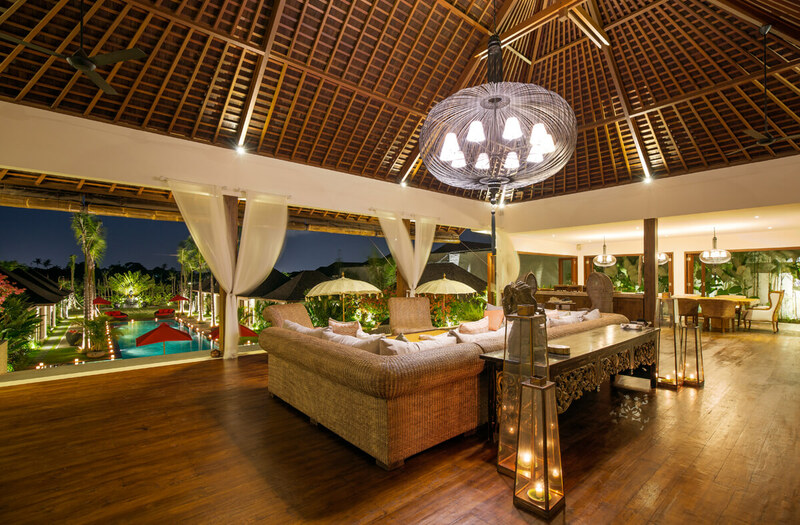 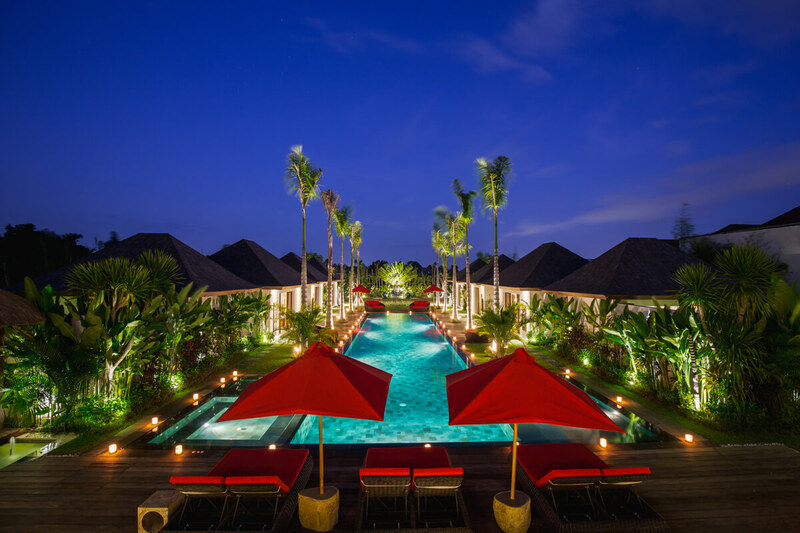 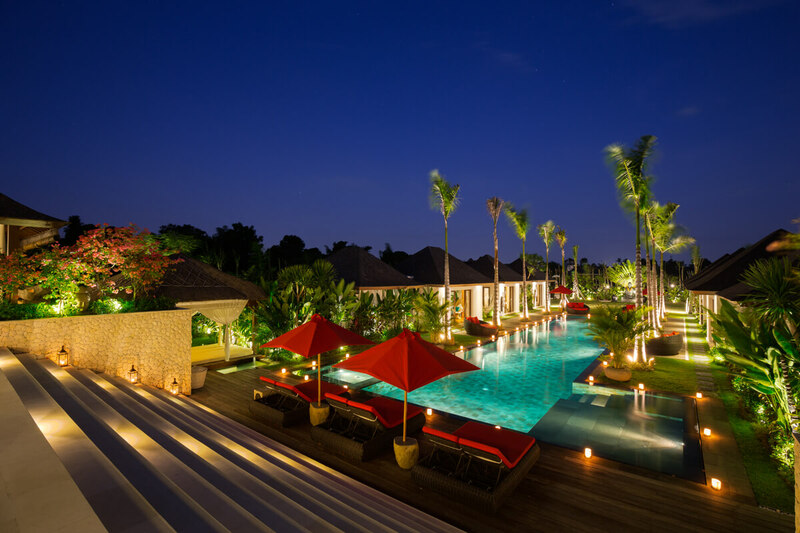 Enjoy the tropical Balinese climate and relax in the open-air living, dining and bar area overlooking the swimming pool. 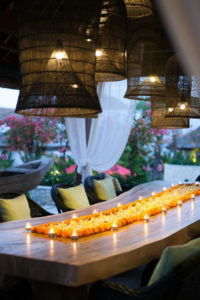 One of the greatest advantages of staying in a villa is the personalized service provided by dedicated staff. 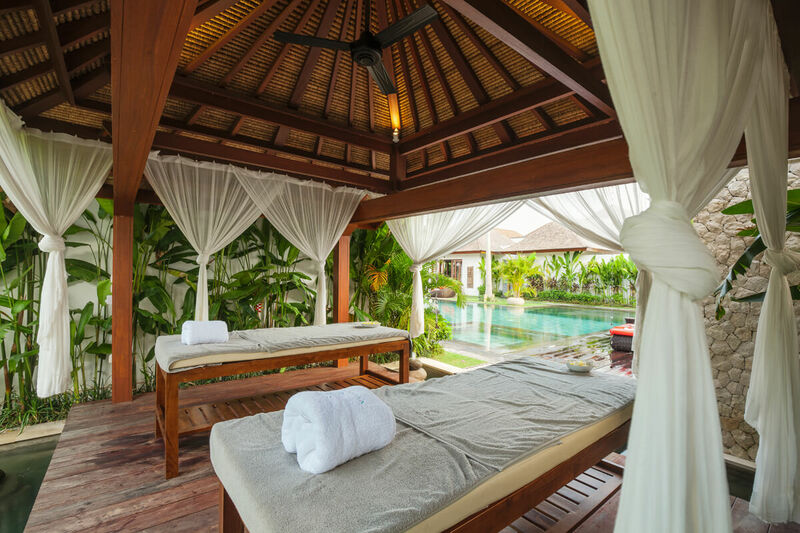 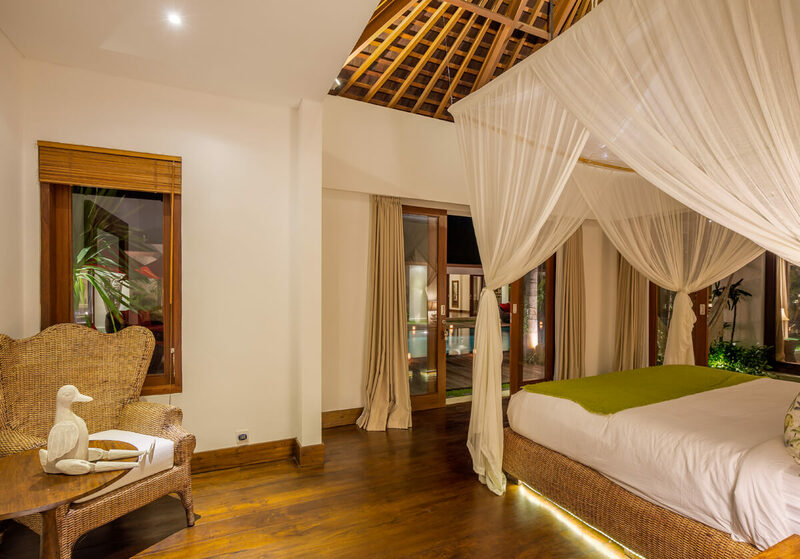 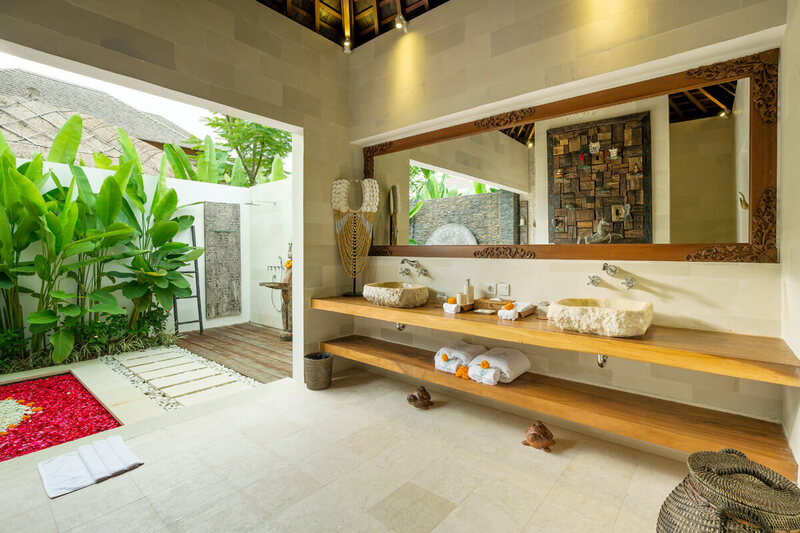 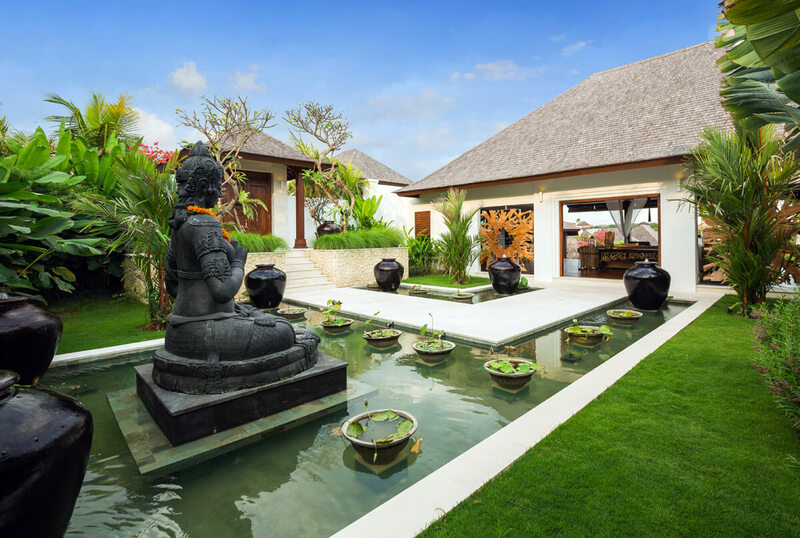 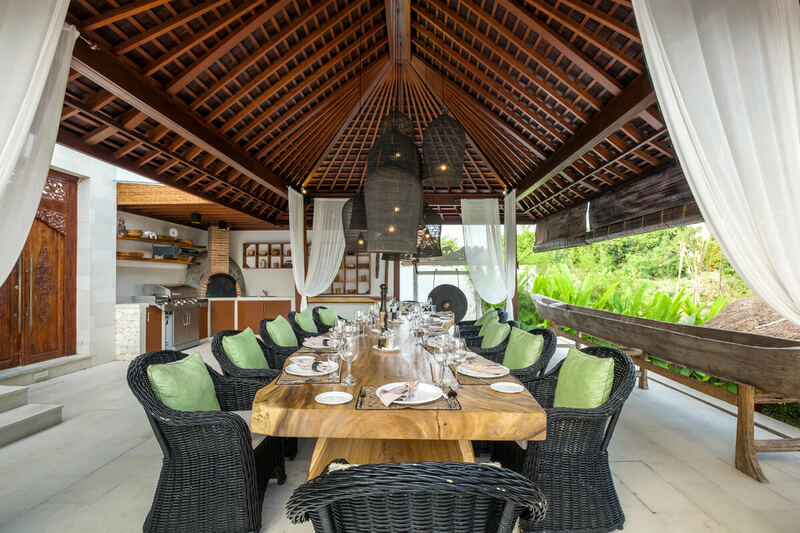 Villa Naty’s staff have been professionally trained and will do their utmost to please with their warm and friendly Balinese hospitality. 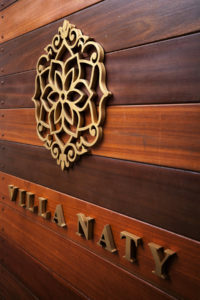 Villa Manager - Villa Naty's well-trained, English speaking manager is responsible for the overall operation of the villa. 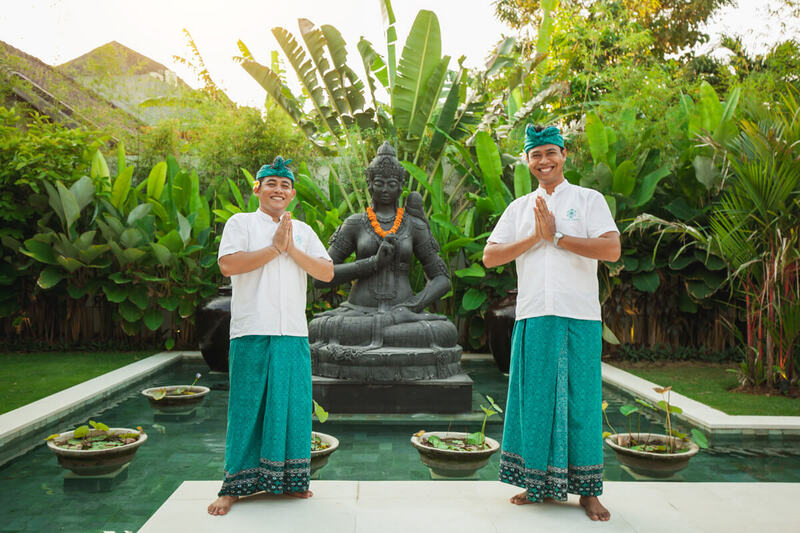 His job is to oversee and coordinate the staff and property and to assist guests with any requests during their stay. 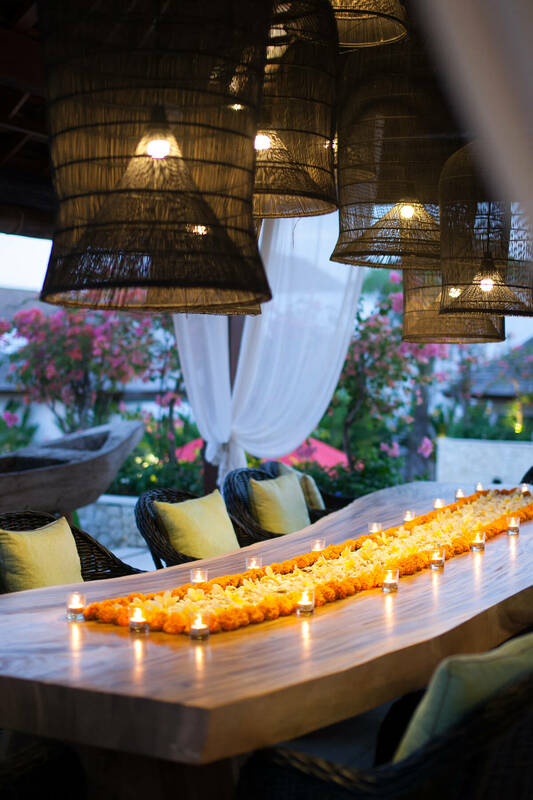 Butlers - Our experienced butler will ensure the guests preferences are in-suite/vill upon arrival and asissting the guest. 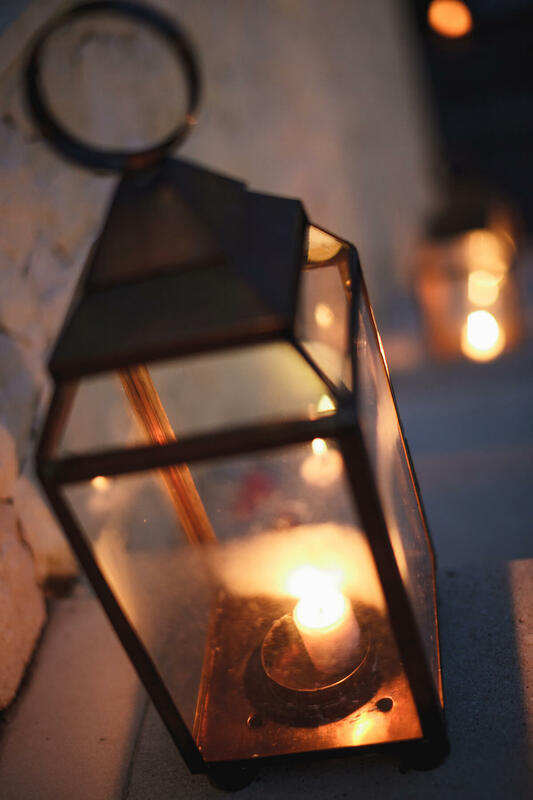 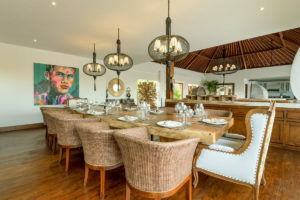 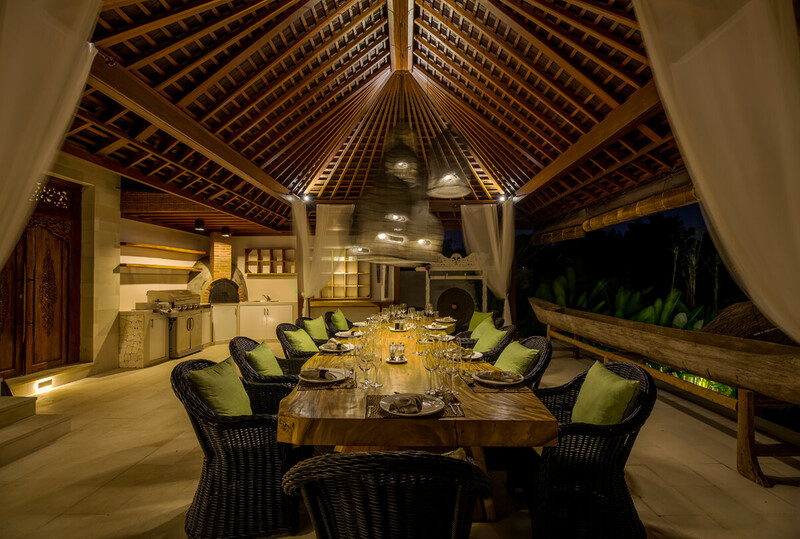 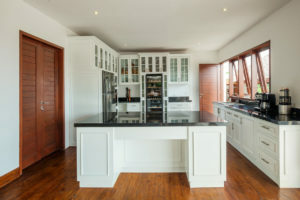 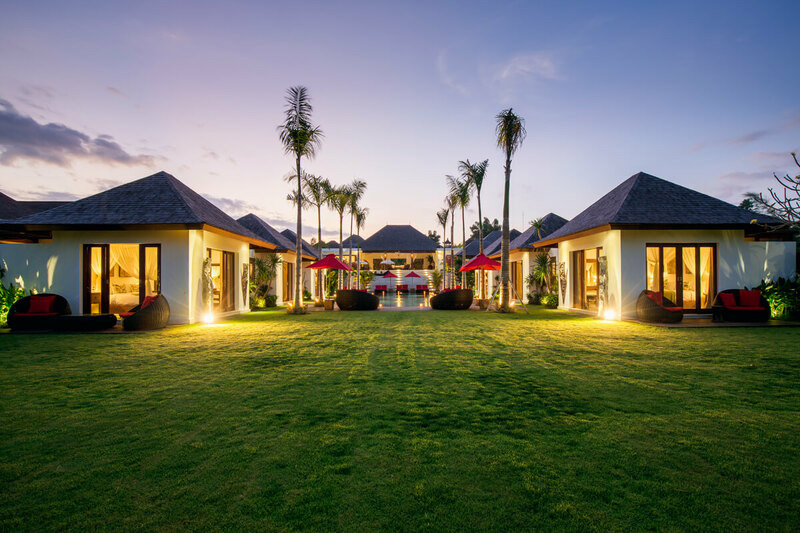 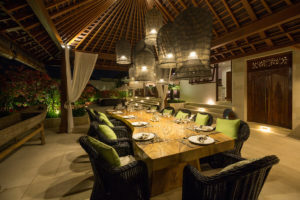 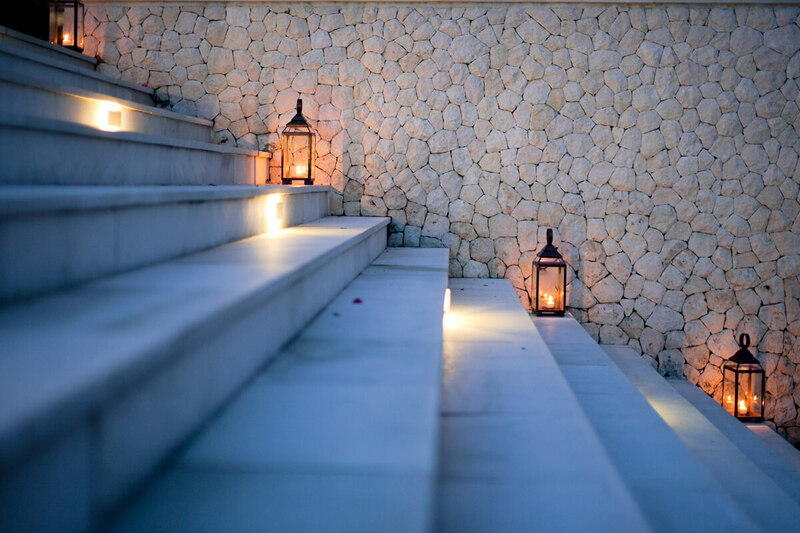 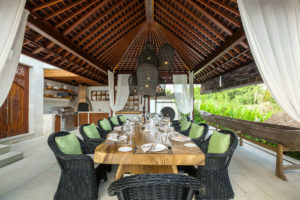 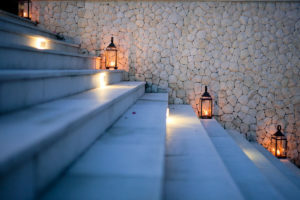 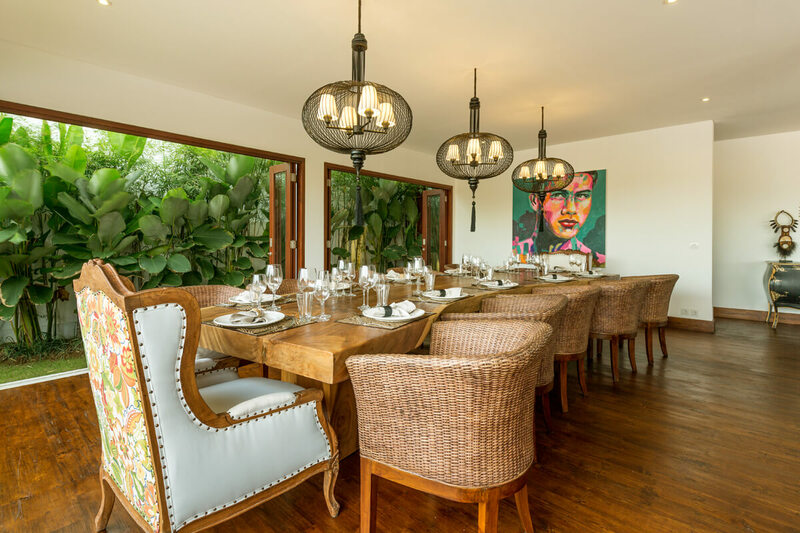 Chef - The villa's skilled private chef will happily prepare anything from the Western, Asian, vegetarian and children’s suggestion menus, as well as discuss special requests and dietary requirements. 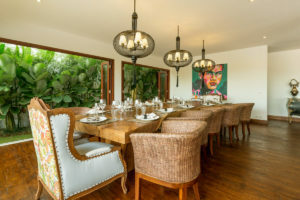 They are particularly well trained in creating healthy meals. 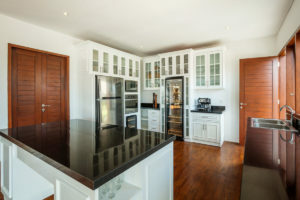 Housekeeping - A team of housekeeping staff work over two shifts throughout the day and evening to look after daily housekeeping and domestic duties. Garden & Pool - Our gardener and pool staff maintain Villa Naty’s expansive gardens and swimming pool. 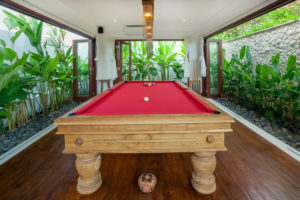 Driver- A driver and car is available on request (extra charge). Security - 2 security guards work in shifts to keep Villa Naty safe and secure 24 hours a day. 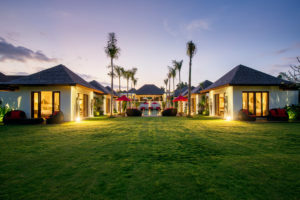 Location Jalan Bumbak Dauh gang Pulau Bintan, Umalas, Bali - Indonesia. Capacity 6 Bedrooms, Living areas, Pool, Staff, Dining, Communication, Entertainment, Family friendly, Gym, Transport, Events, Additional facilities. 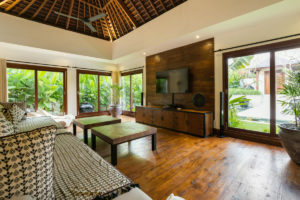 Living Areas Spacious living room with stereo equipment; dining ; TV/media room and gym (AC); fully-equipped kitchen; powder room; BBQ pavilion; wooden deck with sunbeds; outdoor massage gazebo; billyard room; kids trampoline. Staff Villa manager, Chef, 3 Housekeeping, 1 Gardener, 1 Pool, 2 Night Guards. 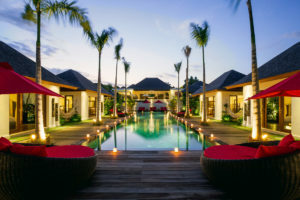 Driver available on request. 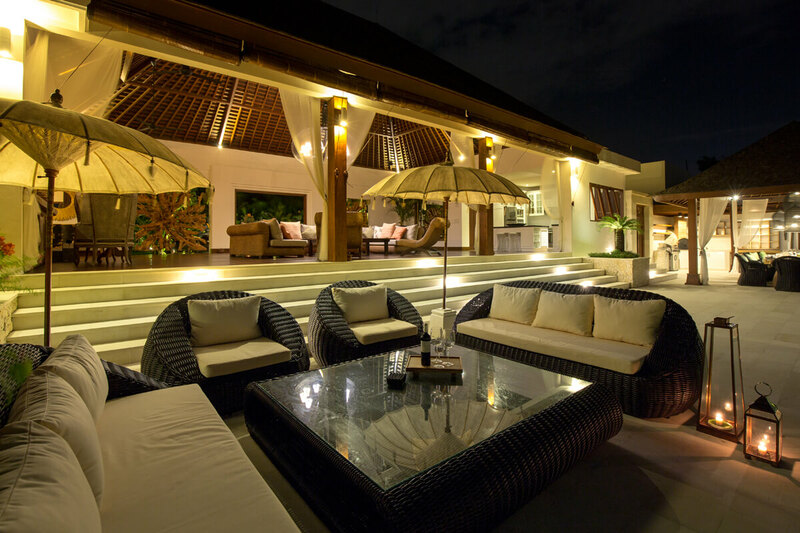 Communication Unlimited free WiFi internet access. 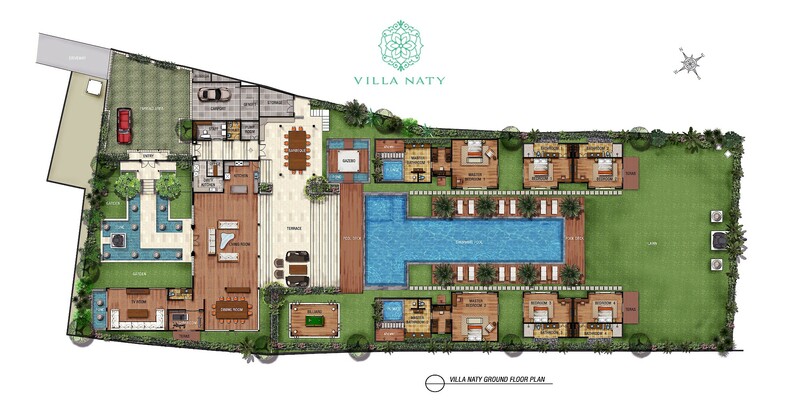 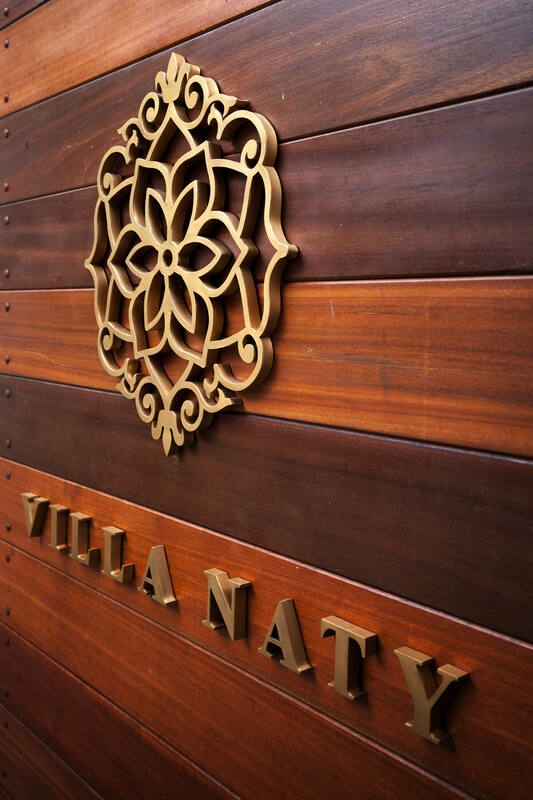 For Family Villa Naty is well equipped for families. 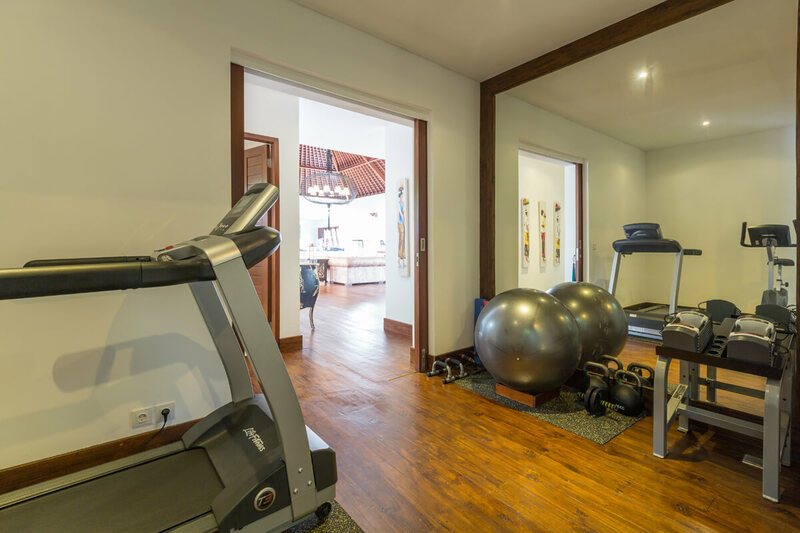 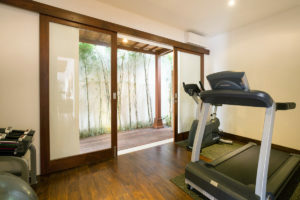 Gym & Yoga Air-conditioned gym with treadmill, bicycle, weights, gym ball, TRX home gym, gym Rings, yoga mats. Transportation Car and driver hire is available on request (additional cost). 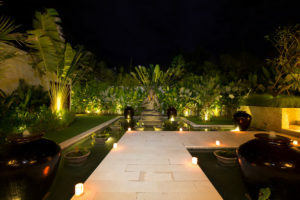 Events Weddings and events for up to 100 people can be arranged at the villa with prior notice. Additional Facilities Barbecue; diesel powered back-up generator; safety deposit box in each room; mini bar/fridge in each room. 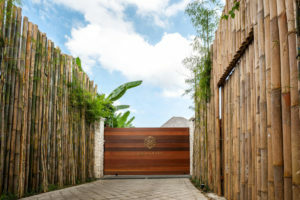 Property Area 2,600 sqm (land).